Our Predator Scent Tags and 33 Day Dispenser Vials are designed to be used with our wide variety of liquid urines. 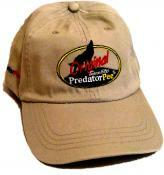 Stock up on natural animal deterrents at PredatorPee Store! These also make great hunting scent dispensers.